First Tunnels uses a variety of 'Pressure Treated' timber in the production of our polytunnels for doors, base rails, staging etc. If you are looking to replace or repair components in a First Tunnels Polytunnel, please refer to the instruction guide to help identify the timber piece needed. These items can be purchased for use as staging tops, additional support, etc. Below is a brief description of where we typically utilise the timber. 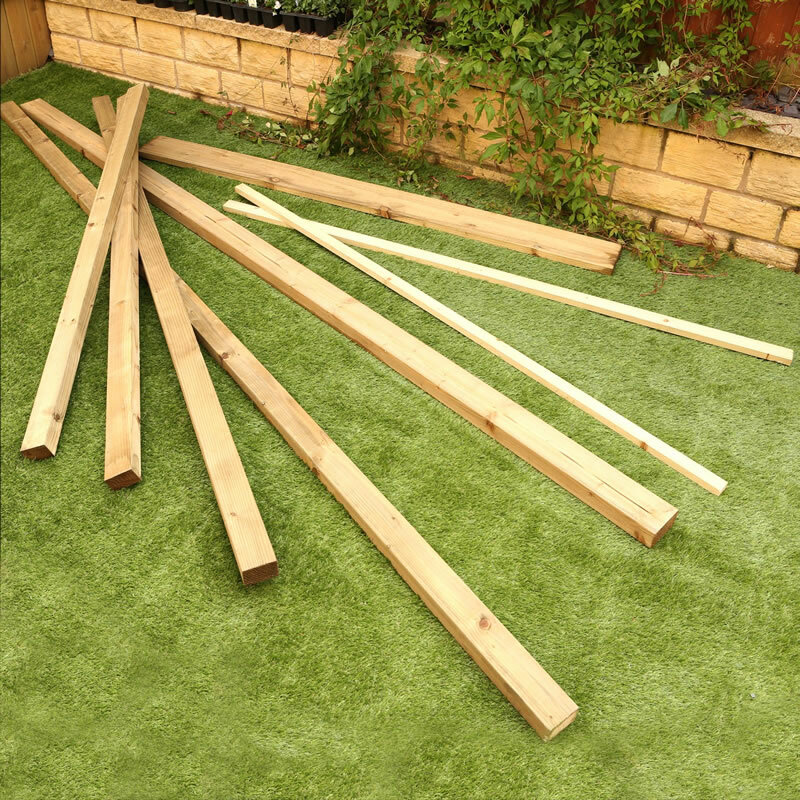 Typical Use: Used as a fixing batten when securing polythene on doors/frames and base/side rails. Typical Use: Supplied with our Raised Bed Brackets. Typical Use: Used when manuacturing our Trestle Staging. Typical Use: Used primarily in our domestic inner doors for our domestic polytunnels. Typical Use: Extensively used on our range of polytunnels both domestic and commercial as base/side rails, door frames for our domestic polytunnels and doors for our commercial inner doors. Typical Use: Our commercial polytunnel utilises this timber for the door frames. First Tunnels is committed to the responsible sourcing of forest products. All timber used in the products that we purchase or specify is sourced from well-managed forests and/or recycled sources. To this end we are proud to be the only Polytunnel company to become FSC® certified. Rated 4.4 out of 5 based on 18 reviews. Good value - did the job! Highly recommended, and will use again in future. Good, except for minor splits starting at the end of a couple of pieces. Unlikely to effect use though. Material was good quality and treated. It was straight and true which was a surprise as I had ordered more as I expected some to be out of shape! Some timber weakened by knots but generally fine. Would be better if narrower as tended to overlap door frame so needed to adjust the doors. Good quality and cheaper than some diy stores.